Reports by the California Attorney General and non-profits organizations find troubling, and possibly unconstitutional, patterns in ICE detention centers. In 2015, Eduardo began the process of fleeing his home in Mexico. He was forced to leave after his family got caught up with a powerful criminal organization. Eduardo knew too much about their activities, so they targeted him and his family. Eduardo and his brother attempted to escape, but members of the crime organization caught up with them and killed his brother, who was only trying to defend Eduardo. The threats continued no matter where in Mexico Eduardo tried to hide, so he chose to leave. When he made it to the San Ysidro crossing in Tijuana, he was met with thousands of Central American migrants arriving at the same time, attempting to claim asylum. Eduardo started volunteering, as he waited for his turn in the unofficial lists that placed people in line to request asylum at the Port of Entry. When the time came, Eduardo crossed into the United States. Antony-Levine gave him her phone number, address, and the promise she would sponsor him to make it easier for him to be released by U.S. Immigration and Customs Enforcement [ICE] on parole. Antony-Levine submitted an 86-page parole request which included letters from congressional offices. Eduardo, however, was still denied. In 2016, the number of immigration detainees convicted of a crime was less than half, according to internal ICE documents reviewed by Mother Jones. Fischer added migrants are not there for punishment and many people in immigration detention centers are not required to be detained. “They are extremely vulnerable to further deterioration and in many cases, they reach a breaking point where they engage in self-harm or even attempt to kill themselves,” Fischer said. According to the Disability Rights California report, they often face counter-therapeutic treatment in detention centers. Pilar Gonzalez, supervising attorney at Disability Rights, said prior to 2017, there were federal guidelines that allowed for people with disabilities, mental health needs, and medical needs to not be detained. “That is no longer the case under President Trump’s immigration policies,” Gonzalez said. Recent reports by California Attorney General Xavier Becerra and State Auditor Elaine Howle found that cities and counties in California that contract with ICE to hold immigration detainees, “lack proper oversight of these facilities, risking the health, safety, and rights of detainees.” Their findings included prolonged periods of confinement without breaks, lack of access to legal counsel, and poor communication with family outside. “This negatively impacts their chances of getting asylum," said Christina Mansfield, co-founder of Freedom for Immigrants, a nonprofit that works to abolish immigration detention. 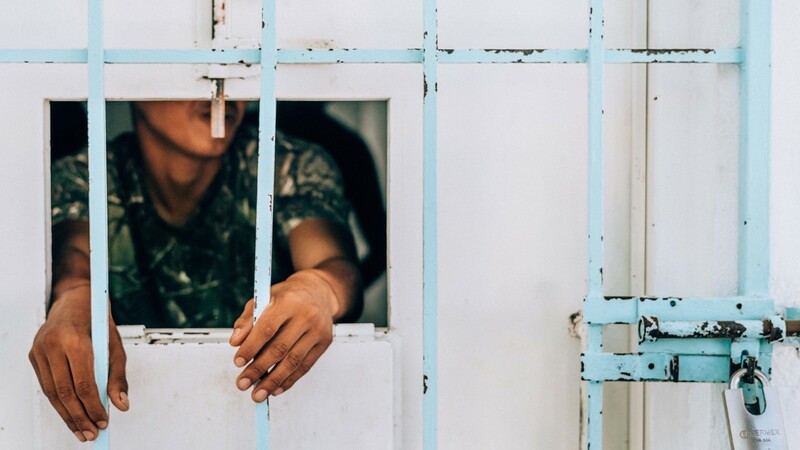 Part of what Manfield’s organization does is put together a network of volunteers who visit detainees in detention centers. Some volunteers even offer to host detainees for months at a time in their homes. Maya and Miles Harris are hosts, currently housing two sisters seeking asylum from Honduras in their East Sacramento home. “There’s really not a more concrete thing you can do than giving a person who needs space, space… and just knowing that the sooner we would say yes, the sooner a person would be able to leave detention,” Miles said. 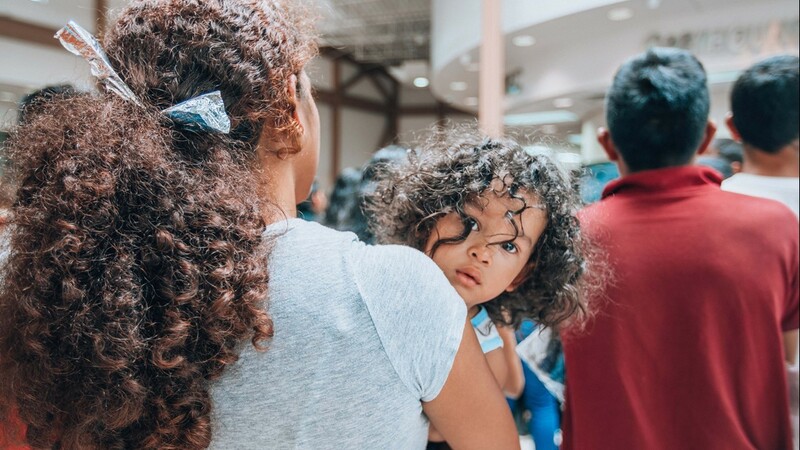 A young child looks back over his mother's shoulder as she waits at Central Station in McAllen, Texas, to retrieve her bus ticket for their journey to stay with family until her upcoming immigration court date. 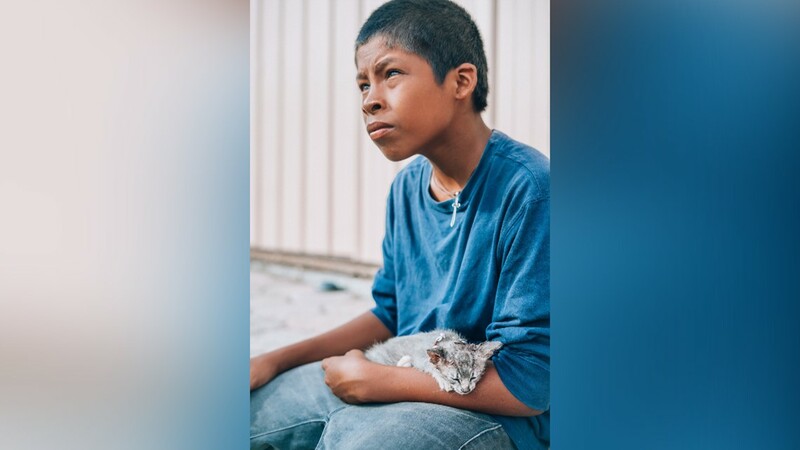 A Central American boy holds an injured kitten at a border town shelter in Mexico. 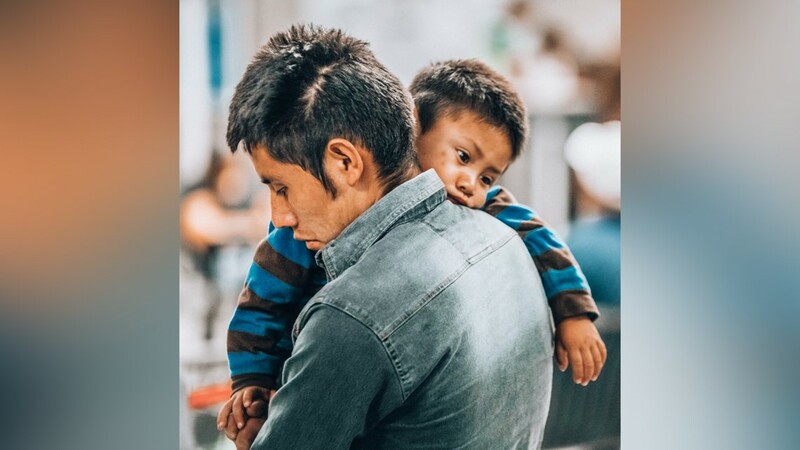 After a long bus ride, a weary Guatemalan boy rests his head on his father's shoulder while they wait for their next bus to Jackson, Mississippi, where they'll meet up with the man's sister and await his day in immigration court. 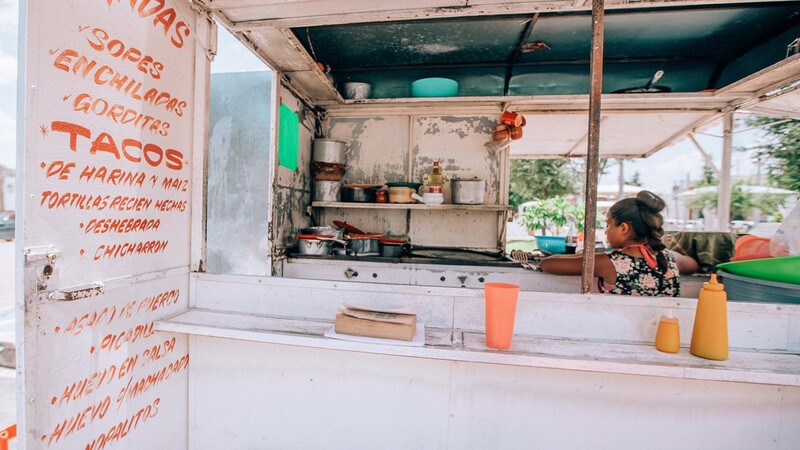 A young girl writes in a notebook at a food stand in Reynosa, Mexico. 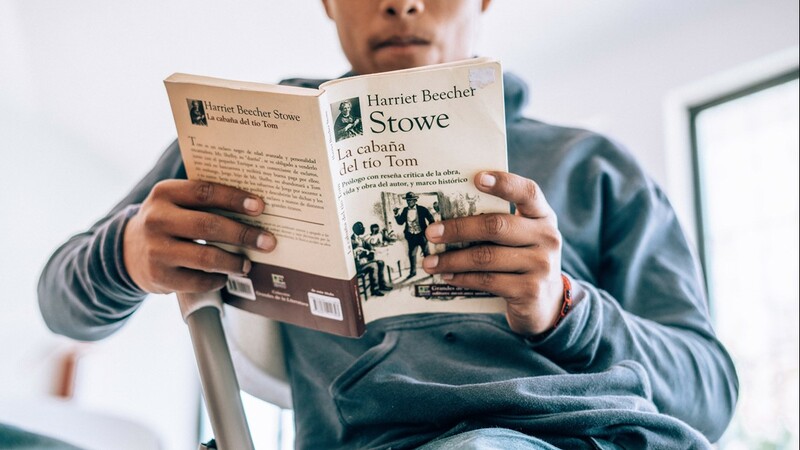 At a children's shelter in Reynosa, Mexico, where kids—most of whom are unaccompanied—are brought by Mexican authorities to await their deportation back to their counties, a young boy reads Harriet Beecher Stowe's "Uncle Tom's Cabin." 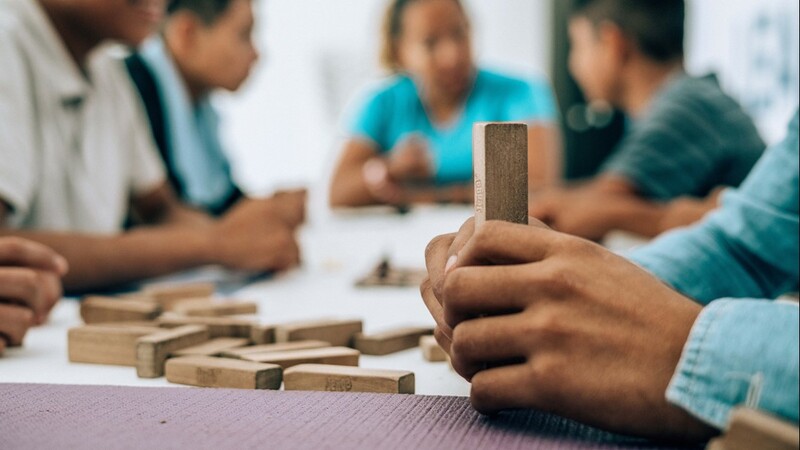 In a children's shelter in Reynosa, Mexico, where kids—most of whom are unaccompanied—are brought by Mexican authorities to await their deportation back to their counties, play Jegna and dominos to pass the time. A mother reads the bus itinerary on her way to stay with family until her upcoming immigration court date. A message is attached to the back which reads, "Please help me. I do not speak English. What bus do I need to take. Thank you for your help." ABC10 spent time at a children's shelter in Reynosa, Mexico, where kids—most of whom are unaccompanied—are brought by Mexican authorities to await their deportation back to their counties. Many said deportation won't stop them from coming right back. ABC10's Lilia Luciano interviews a teen at a children's shelter in Reynosa, Mexico, where kids—most of whom are unaccompanied—are brought by Mexican authorities to await their deportation back to their counties. Many were seeking asylum in the U.S. 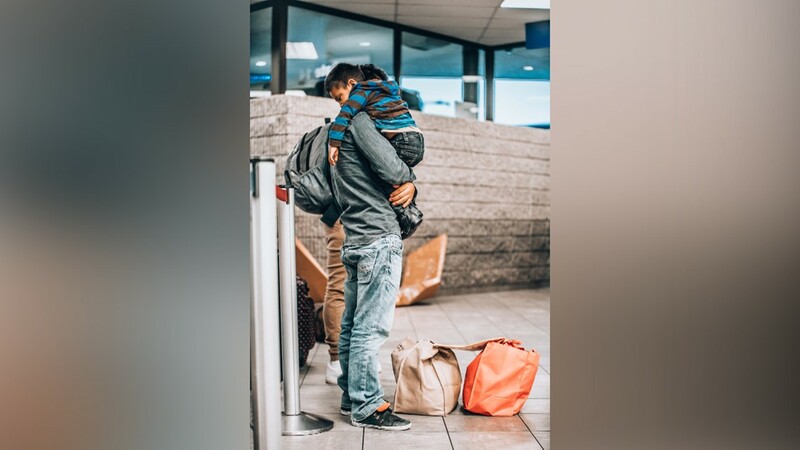 This father and son from Guatemala are on their way to Jackson, Mississippi from McAllen, Texas, to meet up with the man's sister while he awaits his day in immigration court. He says there's nothing he wouldn't do to give his son a better life. 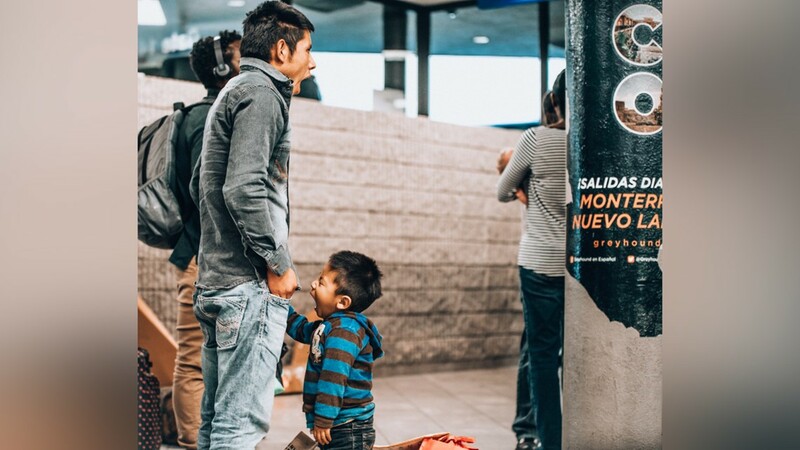 After a long bus ride from McAllen to Houston, this father and son from Guatemala embrace as they wait for their next bus to Jackson, Mississippi, to meet up with the man's sister while he awaits his day in immigration court. 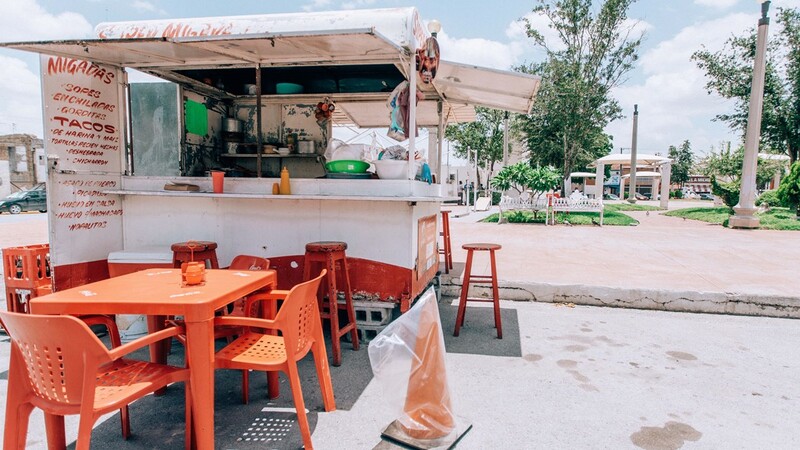 A food stand on the side of a street in Reynosa, Mexico. 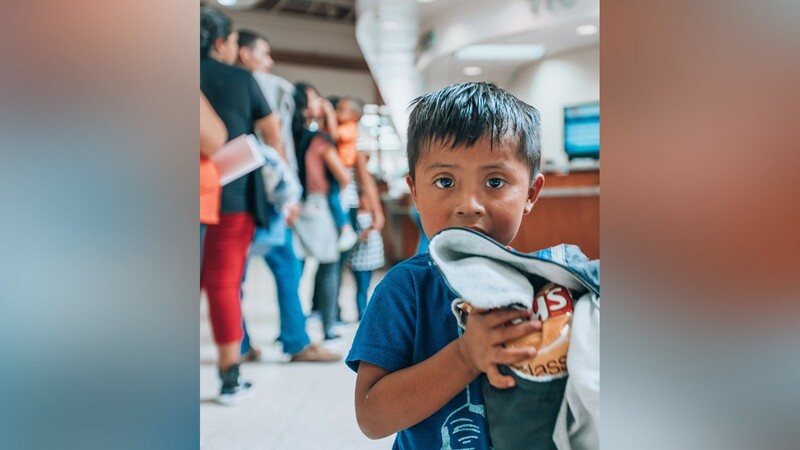 A child holds a bag of potato chips while his father waits at Central Station in McAllen, Texas, to retrieve the bus tickets for their journey to stay with family until their upcoming immigration court date. 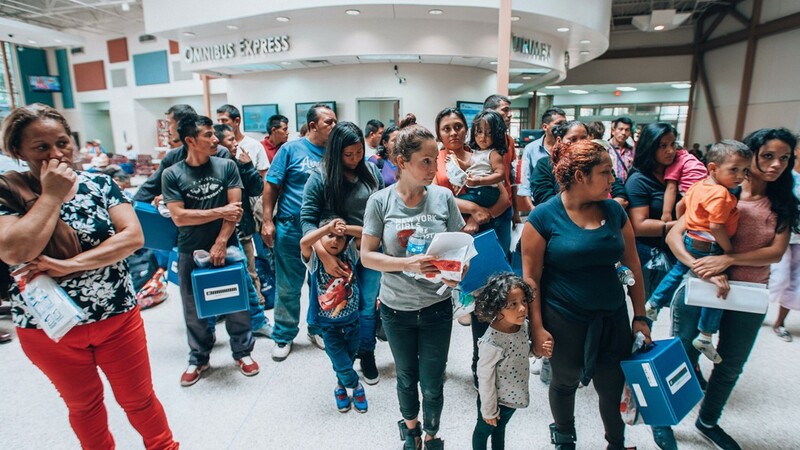 Men, women, and children, recently released from detention, wait at Central Station in McAllen, Texas, to retrieve their bus tickets that have been purchased by family members living in the United States. Levine said most of Eduardo's time was spent in solitary confinement. She had no access to contact him. While in detention, Eduardo said inmates abused him psychologically and sexually. He said he witnessed violence, abuse and felt his life was at risk. “When I turned myself into U.S immigration authorities, it was traumatizing,” Eduardo said. “I asked myself, ‘why is this happening to me? I’m not a criminal.’” They have people with criminal records of the worst. And you are mixed in with them. It was shocking, I kept asking myself, ‘why am I here?’"
Eduardo spent an additional two months at a different facility in Orange County. He said he couldn’t understand why he was being treated like a criminal when he was asking for help. He was placed in handcuffs, wore a “prisoner” uniform, and was confined to a small, solitary cell. After two months in detention, Eduardo asked a judge to deport him to Mexico because he couldn’t stand it any longer. The judge warned him that if he chose self-deporting, he would not be able to step foot into the U.S., nor would be granted asylum either. When the judge heard the reasons why Eduardo was seeking asylum, something unique happened. 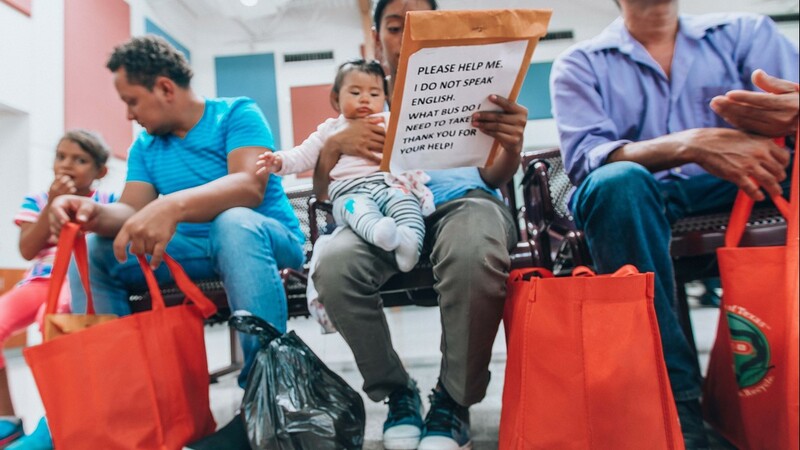 The judge granted Eduardo was granted asylum at his first master calendar hearing, which is when asylum seekers are provided a date for their first hearing. “It was the quickest asylum case in U.S. history,” Levine said. Eduardo is now working full-time at Javi's Cooking, a bakery in Oakland run by an Argentinian immigrant who came to the U.S. on a soccer scholarship. Eduardo lives with Rachel and her roommates and is taking English lessons when he’s not working. The people who have helped him along the way were shocked at the judge’s response and say his case is the exception, not the rule. Continue the conversation with Lilia on Facebook. If you're viewing on the ABC10 App, tap here for multimedia. Stories of men, women, and kids who risked death to get to the US-Mexico border, and how the situation looks from both sides.